There’s nothing like a UR-zilla to send users into panic mode. After all, if you saw marketing content that begged you to “visit us at http://www.http://supersimpleandeasy.com/home/?#$%/subsubsubdomain/?p=48383” ... would you? For marketing purposes, a URL can be a powerful resource. It can incorporate not just your company name for branding purposes, but also SEO keywords to help users (and Google) identify what kind of information they’ll find on a particular page. Your domain name is essentially your business name: say, Cool Coffee Drinker. 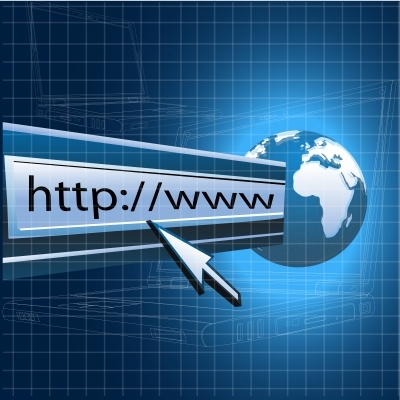 A URL containing just your domain name (www.coolcoffeedrinker.com) would go to your homepage. But say you wanted to draw attention to your page describing the flavored coffees. Then you would design a separate URL with a subdomain: www.coolcoffeedrinker.com/flavored-coffee. If someone were interested in finding a community of fishermen and entered that phrase in Google’s search engine, you could well be among the top results. Your subdomain name makes for a better SEO experience. When you consider that the limit of characters is 2,083 for Internet Explorer purposes, it seems like a bizarre notion. Who in their right mind would design such a lengthy URL? But when you have sub-sub-subpages that need a unique identifier, it’s easy for the characters to add up. ... and that’s 681 characters for just one page of dachshund pictures. Notice all the identifying words in that URL's subdomain – not just “dachshund,” but “dog” and “short haired dachshund” and “wikimedia,” all of which serve as SEO boosters if you were searching for dachshund pictures. Though the look of your URL doesn’t matter much to search engines – they’re just as comfortable indexing what Search Engine Journal dubs “ugly” URLs like “www.example.com/?p=48583” as it does “pretty” ones like “www.example.com/topic-name” – the wording of the domain name can mean a lot to your audience. Use hyphens to separate words – never underscores, spaces or any other $*@#! character. But at the same time, be mindful of the number of hyphens in each URL. Overuse of them is regarded as spammy. Keep it as short as possible. As Moz notes, “keyword effectiveness in URLs decreases as URL length and keyword position increases.” Shortened, easy URLs are the secret behind the popularity of sites like the do-it-yourself TinyURL, whose examples we often see linked in Facebook and Twitter URLs. One good way to get around a lengthy URL name – and to track a specific URL’s performance – is to create a vanity URL. Say, for example, you are placing your Cool Coffee Drinker ad in an online (or even print) magazine called “Coffee Pros.” Your call to action is to visit your website URL, but you want it tracked specifically to that magazine ad. A complicated, number-heavy URL could result: https://www.coolcoffeedrinker.com/488482228p33. Best of all, it lets you track how many people responded to that particular ad in “Coffee Pros,” so you can decide if you want to advertise there again.